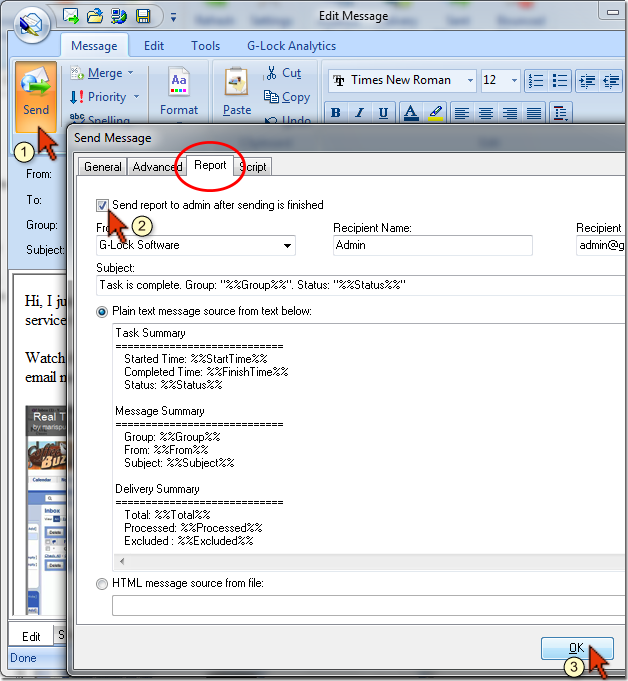 You can set G-Lock EasyMail to send an email campaign report to administrator after the sending process is complete. You can choose the report format yourself. You can receive the reports either in the plain-text or HTML format. The report will show you the time when the email campaign was started and completed, group name the message was sent to, account name used to send the message, message subject, number of emails within the group, number of sent, processed, and not delivered messages.